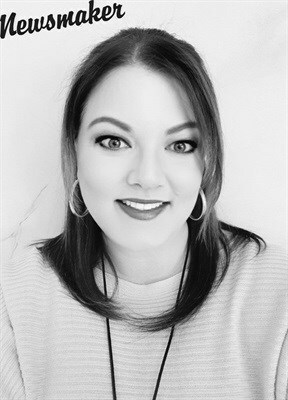 Marilyn Nel joined BMi Research earlier this year as new research manager to lead the B2B market research department, responsible for building client relationships, guiding clients through research projects and overseeing the research process on all projects from conceptualisation to conclusion. Having observed trends in the industry throughout the course of her career, Nel has identified a shift in the consumer landscape, resulting in the need for companies to employ data with speed and agility in order to keep up the pace in addressing consumer needs. What excites you most about BMi Research and where it’s going? BMi Research offers a wide range of solutions that can assist industries with research outside of my previous roles. The scope to learn, grow and master areas of my field outside of my past experience is the excitement I thrive on. What did it take to get to where you are today? From a young age, I told my family I would wear a suit to work. I always knew I wanted to be in the corporate world and I’m not one to have small dreams! From the day I started my career, I have followed my passions and my beliefs, which combined with hard work and dedication has seen me grow and succeed, to end up here. What do you love most about your career in the market research industry? The research industry offers such fluidity in the day-to-day scope of work, as we are dealing with ever-changing environments and business/consumer response to this. The fact that no one day is the same is why I love what I do so much. Comment on the power of data in 2018 and any other emerging trends in the research space. Businesses need to be increasingly agile when responding to market factors, however, they need data to support their response in turn. Failing to react quickly could be costly and thus the pressure for data to be available at a greater speed than historically. With economic pressures the world over, but felt to a great extent in South Africa, the ability to measure, review and react is all the more important. Consumers are changing their behaviour and market research needs to keep up with the demand. What’s at the top of your to-do list in your new position? I aim to drive value in every piece of work my team and I deliver. What are you currently reading, watching or listening to for work? I am currently reading Legacy: What the All Blacks Can Teach Us About the Business of Life by James Kerr. While I do enjoy watching a game of rugby, I wasn’t sure I would identify with this book, but I have been pleasantly surprised. It’s quite a captivating read, with lessons I plan to use going forward. Tell us something about yourself not generally known. As much as I am a people person who loves good company and being social, my time alone with my family (or all on my own reading a good book) is the most cherished time I have!